ALL hairsprays say that they will not flake, make your hair sticky, or make your hair stiff. However, we’ve found that you usually have to choose between great hold and touchable hair. 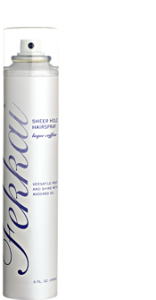 Fekkai’s Sheer Hold Hairspray actually backs up these claims and allows you to create hairstyles that you can brush afterwards! We really recommend this product for creating waves, which seems to be one of the most popular ways to style hair right now. It works well because it holds just enough to keep curling iron created waves in place, but you still have movement. 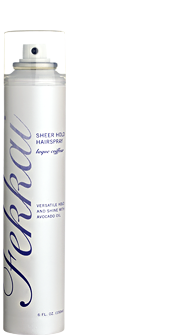 What’s great about this hairspray is that your hair won’t look too ‘done’. If you’re going for a more rigid hold or for a more elaborate hairstyle, then this hairspray may be a little too lightweight for what you’re looking for. 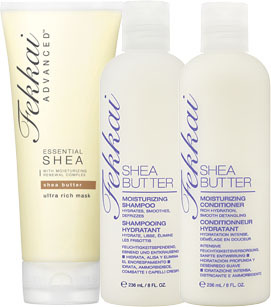 If you’d like to give this product a try, enter our contest of the month! 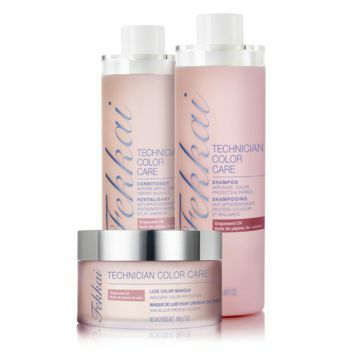 Fekkai Sheer Hold Hairspray is part of the prize. Tip: To create waves like the celebs, leave one inch of hair free at the end of your curling iron. For a real natural look, try a clamp free curling iron.